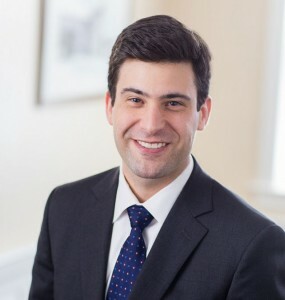 WEST CHESTER — MacElree Harvey, Ltd. announced this week that Andrew R. Silverman, Esq. has joined the firm as an associate in the firm’s West Chester office. Silverman’s practice focuses on the representation of clients in connection with business, commercial, and other civil litigation matters. He regularly appears before Delaware and Pennsylvania courts on behalf of individuals and companies concerning a variety of complex civil litigation, including products liability, corporate, construction, commercial and insurance coverage disputes. Prior to joining MacElree Harvey, Silverman practiced law with a national commercial litigation and products liability firm where he acted as assistant national coordinating counsel for various Fortune 500 clients in defense of a variety of lawsuits. A graduate of the University of Pittsburgh (BA, 2007), he earned his law degree from Widener University School of Law (2010) in Wilmington, Delaware, where he served as clerk for the Bankruptcy Division of the Pennsylvania Civil Law Clinic. Following law school, Mr. Silverman clerked for the Delaware Court of Common Pleas, where he assisted in the writing of judicial opinions. A member of the Chester County and Delaware State Bar Association, he is admitted to the Bars of the Supreme Court of Pennsylvania, the Delaware Supreme Court, and the U.S. District Court for the District of Delaware. MacElree Harvey is a full service law firm located in West Chester and Kennett Square and Centreville, DE. Providing initiative in the practice of law for more than a century, MacElree Harvey serves clients in over twenty-five areas of law. To learn more about the firm, please visit www.macelree.com.